Alibaba's childhood friend and later on adopted brother. When Kassim was younger, he lived in the slums of Balbadd with his sister and father. One day his father was beating him and his sister until they were saved by Alibaba Saluja's mother Anise Saluja. After saving them Anise took them in as a member of her family. One day, Anise surcame to an illness and died. At that point Kassim took on the role of taking care of them. Although he is the cadre of the "Fog Troupe," he is the real leader of the "Fog Troupe." He uses the magical weapon "Sword of the Black Binding Fog." He had lived with Alibaba in the slum streets like brothers when he was younger. His name is based from the brother of Alibaba in "Alibaba and the forty thieves." Cassim has a little sister who died when she was young. Long ago, he wanted his sister Mariam to marry Alibaba. After he and Alibaba declare war on each other, Alibaba runs off to train with Sinbad, Cassim is not seen again until Alibaba declares Balbadd as a republic. After this, the people of Balbadd become overjoyed and start to celebrate until Cassim appears. He manages to upset the crowd enough until they all get overcome with anger and charge the palace. Cassim fights Alibaba and a huge battle undergoes. During the fight, Alibaba gets the best of Cassim. Cassim tells Alibaba to kill him, but this is something that Alibaba couldn't do. After this, he stabs himself in order to turn into a Black Djinn by sacrificing his life. 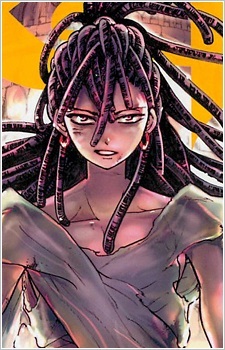 Alibaba made various attempts to defeat Cassim, but he failed in all of them. This is until Aladdin shows up and helps Alibaba enter Cassim's Rukh to talk with him. After they talk, Cassim reveals that he has always hated Alibaba (as in always being envious of him and thinking of himself as less than him). After this, they have a short fight ending in Alibaba's victory due to Alibaba overpowering Cassim's Black Rukh with his White Rukh. After this, Alibaba receives all of Cassim's painful memories and Cassim dies before he can tell Alibaba one last thing. Magi:The Labyrinth of Magic has a plot that moves quickly and is filled with subjects of magic, political distress, morality, friendship, and hope. These subjects makes it easy for anyone watching to feel something, whether it's anger or bliss. So here are 20 quotes that touch your heart.